I'm discovering that making things for baby boys can be just as exciting as baby girls :) Click HERE for the baby rag quilt tutorial, or scroll down to watch our video tutorial. Oh, and since I know people are wondering, I bought my fabric from The Quilting Cottage located in American Fork Utah. Want to BIND your quilt? 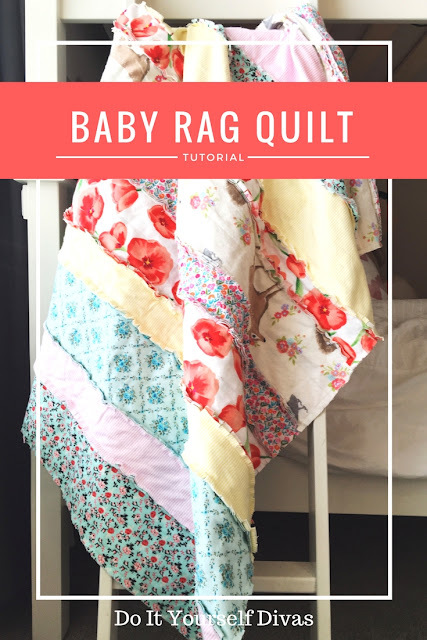 You may also like our DIY Bind A Quilt Fast and Easy Video. Is it necessary to use flannel? If other fabric is an option, can you please tell me what kind of fabric you would use?